Dr. Steinberg personally performs every step in your LASIK process from the initial consultation, tests, and measurements, procedure itself and post-operative care. 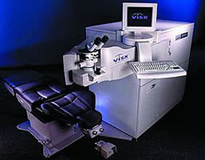 He's certified in performing laser vision correction with the VISX Star S4 and can offer patients the latest in vision correction technology including the Customvue personalized laser treatment. He personally performs tests and measurements to the eye prior to the procedure and carefully analyzes each person to make sure the outcome will be as successful as possible. The procedure is performed at the TLC Laser Eye Center in White Plains with the assistance of an experienced staff and the most advanced instruments. As a successful LASIK patient himself, Dr. Steinberg understands the satisfaction of clear, spectacle free vision. If you are interested in reducing your dependency on glasses or contacts, please arrange a personal consultation with Dr. Steinberg to find out if you are a candidate. Financing is available. PRK or photorefractive keratectomy is one of the safest and most time-tested laser vision correction procedures available. 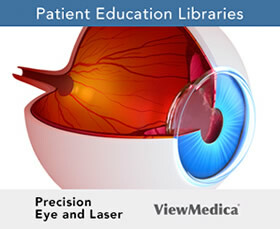 The first step in PRK is to remove the epithelium, a thin layer protecting the cornea. 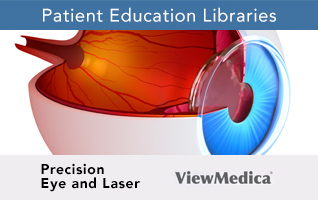 Then the surgeon uses an excimer laser to vaporize a small amount from the top of the cornea. Studies have shown that 90-95% of patients with a correction of up to -6.00 diopters achieve vision of 20/40 after PRK, and up to 70% achieve 20/20. Patients needing less correction generally achieve better results. The risks of PRK include infection, haze, slow healing, scarring, over- or under-correction of the visual condition, and development of astigmatism. If you are interested in learning more about any of our laser eye surgery procedures, call 845-897-9500 today to schedule an appointment.